I took a sabbatical year at Yale in 1981- 1982 where i worked peripherally to the the WERMS (Wyckoff, Engleman, Richards, Moore, Steitz) group that was then in full blossom. It was apparent that recombinant DNA technology was going to enable the production of proteins with any desired sequence. 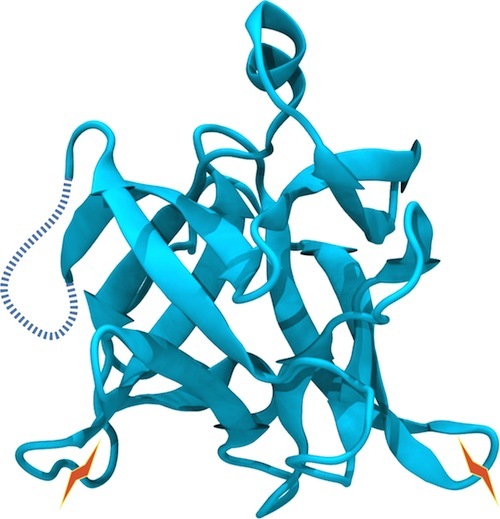 In addition, emerging examples of proteins from organisms that grew in extreme environments made clear that proteins could be made to function with a wide variety of potentially novel functions. Shortly thereafter, I left my tenured position at UAZ to join an early biotechnology startup, Genex Corporation in Gaithersburg MD. 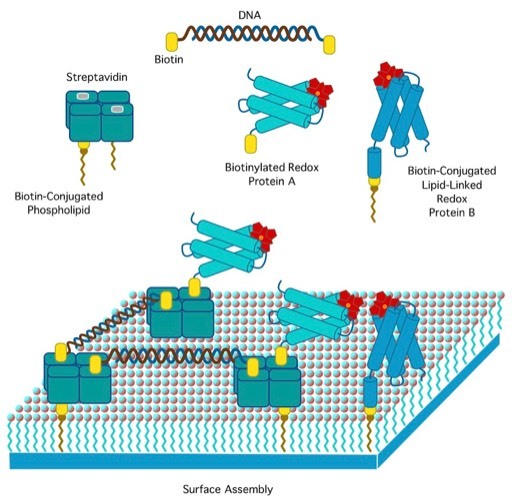 Genex had a deal with the Bendix Corporation for the development of protein engineering technology and I was able to build a research group that complemented recombinant DNA-based production of engineered proteins with high-throughput structure determination methods using multiwire X-ray area detectors and advanced computer graphics methods for protein design. The Bendix deal was terminated following an attempted hostile takeover of Martin Marietta, leading to Bendix's merger with the Allied Corporation. I was able to move, along with many of my Genex colleagues, to DuPont Central Research where I continued to work on protein engineering projects, including an extensive program focused on the development of new fiber materials based on amino acid block copolymers. F.R. Salemme, Ann. New York Acad. Sciences 1985; 439: 97-106. F.R. Salemme & James Wells Current Opinion in Structural Biology 1991; 1: 603-604. 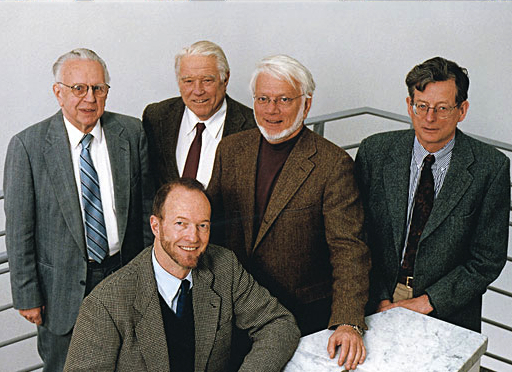 D.H. Ohlendorf, B.C.Finzel, P.C.Weber, and F.R.Salemme, in Protein Engineering (D.L.Oxender, C.F. Fox, Eds.) Alan R. Liss, Inc., NY, NY. 1987; 165-173. S. L. Sligar & F. R. Salemme Current Opinion in Biotechnology 1992; 3: 388-393. An early, collaborative conception of self-assembled molecular electronics on lipid bilayer surfaces. S. L. Sligar & F. R. Salemme Current Opinion in Structural Biology 1992; 2: 587-592. F.R. Salemme & James Wells Current Opinion in Structural Biology 1992; 2: 557-558. 71. Permuteins of interleukin 1ß: A simplified approach for the construction of permuted proteins having new termini. R. A. Horlick, H. J. George, G. M. Cooke, R. J. Tritch, R. C. Newton, A. Dwivedi, M. Lischwe, F. R. Salemme, P. C. Weber, and Horuk, R. Protein Engineering 1992; 5: 427-431. IL1b is organized from three antiparallel beta-sheet domains. The protein folds to form a stable 3D structure irrespective of the points of connection engineered at surface loops interconnecting the domains. 75. Neural Network for the Detection and Prediction of 3D Structural Motifs in Proteins L.D. Greller, Evan W. Steeg & F. R. Salemme Math Modeling and Sci. Computing 1993; 2: 630-635. 77. 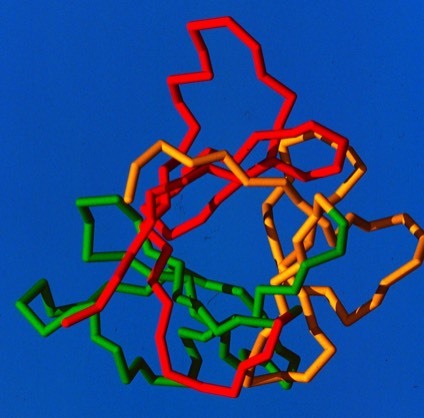 Design, Synthesis, and Fabrication of a Novel, Self-Assembling Fibrillar Protein, J. P. O'Brien, R.H. Hoess, K.H. Gardner, R.L. Locke, Z. R. Wasserman, P. C. Weber, & F. R. Salemme in Silk Polymers : Materials Science and Biotechnology (D. Kaplan, W.W. Adams, B. Farmer, C. Viney, eds.) 1994; ACS Symposium Series 55: 104-117. DuPont Central Research and the Polymer Products Department supported a program to develop biopolymers with novel physical characteristics. One effort, based on a repeating sequence from the adenovirus tail spike protein, was designed to spontaneously form oriented fibers. Initial experiments were very promising.